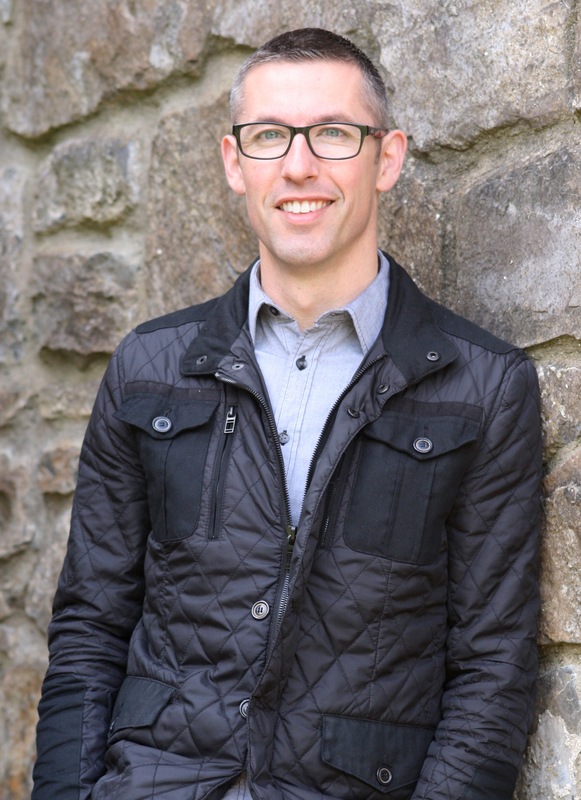 Shane Hegarty, the former arts editor of The Irish Times, made headlines in 2013 when he signed a substantial six-figure four-book deal with HarperCollins for his Darkmouth series of children’s fantasy books. In January 2015, the film rights for the Darkmouth series were sold in a high six-figure deal. I really wanted Marianne Gunn O’Connor as my agent… I had written about 5,000 words and needed to know if it was any good or not. I thought ‘If she thinks it’s worth something, then it’s definitely worth pursuing. If she doesn’t, then I have to take it on the chin.’ So I sent her 5,000 words and she got back very quickly to say she wanted to see more. I came back with 15,000 words. I spent three or four months writing on the train to and from work… and in the evenings, on my lunch break, any opportunity I had. At one stage I had a two-week holiday from The Irish Times and my wife Maeve, fair play to her, said to leave the house every day as if I was going to work. I would go to the National Library and write there. I came back to Marianne with about two-thirds of the book finished… a couple of weeks before Easter. At that stage she felt it was worth bringing to the Bologna Children’s Book Fair which was coming up. The twins were screaming, the house was in chaos, the phone rang and it was Marianne… She said I had a choice of publishers and the offers meant I could write full-time. It was an extraordinary moment. As with any writer, you probably dream and hope it might happen to you some day. It is the dream scenario, and it’s something I haven’t stopped appreciating. Everything that’s happened since has been incredible. Genuinely, it wasn’t a financial choice… I had a couple of very good offers, all structured differently. I looked at my bookshelf and I saw HarperCollins on the spine of a lot of books that I really, really liked. It was a fairly quick decision for me. It was quite literally in front of me on the bookshelf. At the heart of it, the deal just allowed me to replace one job with another… Deals are structured over a period of years. Nobody comes along with a big novelty cheque. Obviously it is a great cushion to have, but there are no guarantees at the end of it, and no guarantees that anybody’s going to buy the book. I was 38 when the deal came through… I’d had another career in journalism. I understand the privilege of being able to change career at that point in my life. It helps that I’d had a couple of history books published before… The second book had a very, very small print run and pretty much went out of print once that run was done. It reminded me that things don’t always work out as you would like, but also that you can write books that aren’t particularly successful but that you’re very proud of. It’s very different now to working in The Irish Times… in an open plan office, constantly checking things with other people and having constant conversations. It is quite a solitary life compared to the Times. I rent an office and go there every day. Ultimately the only person who can write the books is yourself. It is isolating. There was quite a long stretch of just me and the words. I got far too used to not having to talk to anybody, but now that the book is out there’s a huge amount of activity, like speaking at schools and calling into bookshops. Probably the best moment of the whole process so far has been… when my nine-year-old son had a proof copy of the book. I went up to him one night and he hadn’t turned his light off because he wanted to see what happened. At that moment, I thought ‘This might be ok.’ If he didn’t like it, it was going to be a very awkward few years! The film rights have been bought by a company called Alcon Entertainment… which was another ‘pinch me’ moment. Alcon make films themselves, rather than just going out looking for finance, so while there are no guarantees that a film will be made, it’s a good start. And more importantly, they really got the idea of Darkmouth – the humour and the spirit of it. I genuinely didn’t have that much confidence in my writing… I had always wanted to write fiction. I thought about it a lot, but ultimately the only way to write is to sit down and do it. I did that without any sense of whether it would lead anywhere. You’ve got to start from the point of telling a story because you need to tell it. Just write what you want to write and like nobody will ever see it. Don’t be precious about where or when you write… Once I have a computer, and ideally some headphones to shut out the world, I can write. Ultimately there’s always time to do it. You just have to find it and use it. Not that I’m not capable of wasting a lot of time. The first time I visited HarperCollins, I had a ‘wow’ moment… All these people were working on my book. Four people were working on the graphics alone. You can either allow that to be a pressure, or you can see it as a support. One of the great surprises is how immediate the reaction has been… Kids will stop you on the street, and call to the office, because they want to talk to you about the book. There is an accelerated publishing timetable because that age group (8 to 12-year-olds) devour books. They might read the book in a day in some cases. Book two, Darkmouth – Into the Infested Side, will be out in the summer. When you’re ten, that’s like a lifetime away. The one thing I still really enjoy is writing… Darkmouth is not just a book of 65,000 words. It’s a series over four books, so that’s a quarter of a million words. Each story has to be individual and yet fit into a much broader arc, so a lot of time is spent working on structures and plots. When I actually write, and I know where I’m going, I just love it. I’m blessed in that I’m writing a series… I do look at people, especially in literary fiction, who write one book and then have to come up with another idea. I’ve no idea how they do that. I have one idea and I’m milking it for all it’s worth! 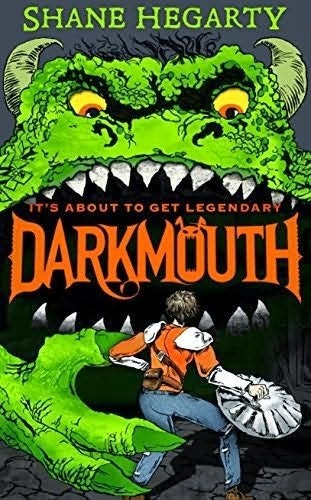 The first book in the series, Darkmouth – It’s about to get legendary, is available in bookshops now.